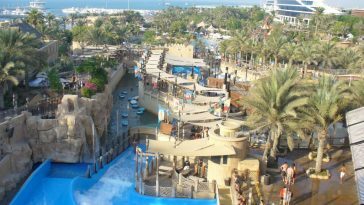 This list is only concerned with buildings that are solely comprised of offices and so although the Dubai Burj Khalifa may be the tallest building in the world, because it is both residential and office space, it does not make this list. The tallest building in the US, Willis Tower, which was formerly called the Sears Tower, Chicago, does make the list though, because it rents only office space despite it housing the Skydeck Chicago. Buildings around the world are usually built for residential or office space, many having a combination of both but this list is not concerned with either residential or mixes, purely office and so here is a list of the top 10 tallest office buildings in the world 2014. 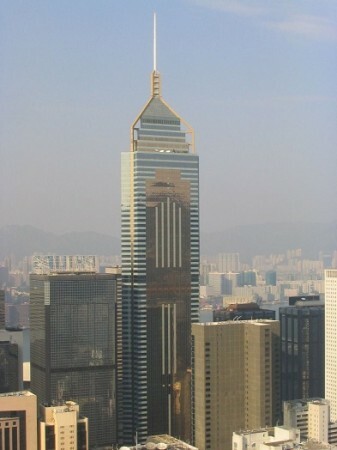 When completed in 1995, this was the tallest building in Asia but today is only the third biggest in Hong Long. 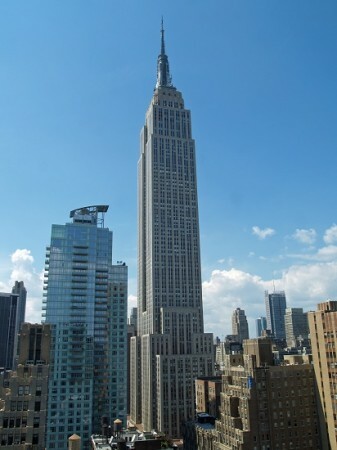 This was the tallest building in the world for 40 years, from its completion in 1931 until 1970. It is currently the 23rd tallest in the world and the 4th tallest in the Americas. 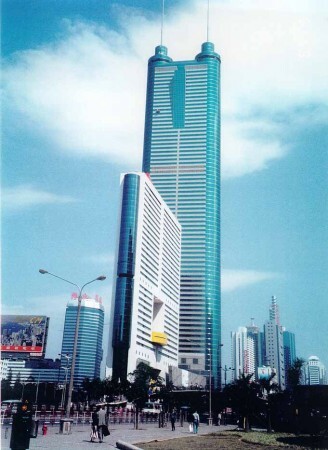 On its completion in 1996, its reign as the tallest building in China only lasted for one year , until 1997 and it is currently the 9th tallest in mainland China and 17th in the world. Although ranked 16th in the highest buildings in the world, it is 1st in the tallest concrete buildings list. 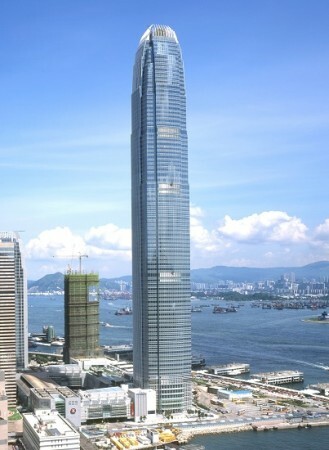 Similar in height to the destroyed World Trade Center Building, this two towered financial building is a landmark on Hong Kong’s central waterfront district. 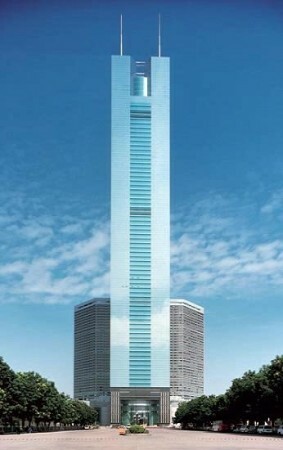 This impressive building has a lobby that is 20 meters tall. 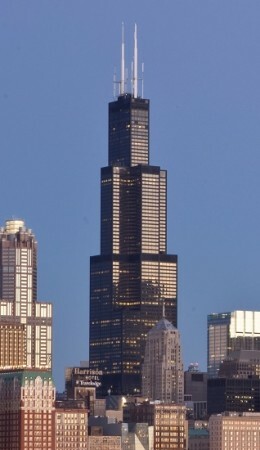 Known as the Sears Tower, this building had a 25 year reign as the tallest building in the world. In 2009 the buildings name was changed to the Willis Tower and now it is ranked as the eighth tallest building in the world. 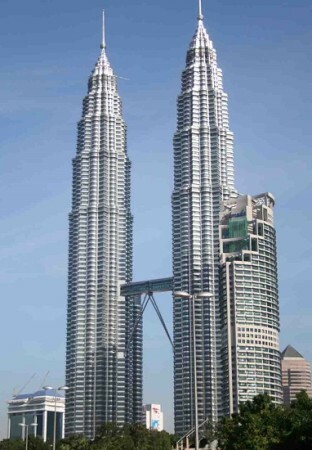 These two towers that dominate the Kuala Lumpur skyline are also known as the Petronas Twin Towers and reigned as the tallest buildings in the world from 1998 to 2004 but now have to settle for being the tallest twin towers in the world. 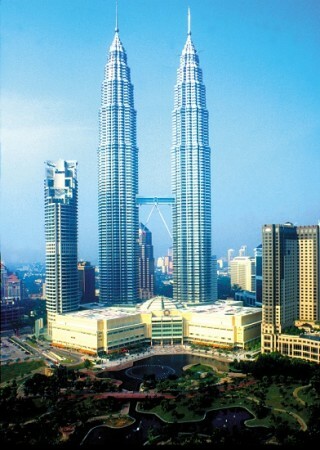 Part of the world’s tallest twin towers. 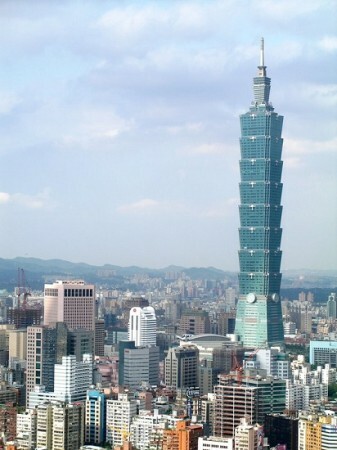 This building has 101 floors above ground and 5 below and is recognized as an icon of modern Taiwan. 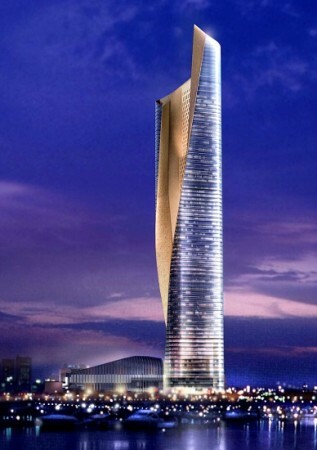 This reigned as the tallest building from 2004 until the completion of the Burj Khalifa in 2010.